Best whey proteins for mixability. Whey protein powders that mix the best. The ones that are easiest to mix and have few or no lumps. Summary: A list of the best whey protein powders for mixability, an explanation on what makes for good "mixability" and how important it is when deciding which supplement to buy. I know, king of lexicography. A more sophisticated word would be "soluble", but I like mixability more. Give it time and I'm sure it will be in all good dictionaries along with bouncebackability. What makes for good mixability? 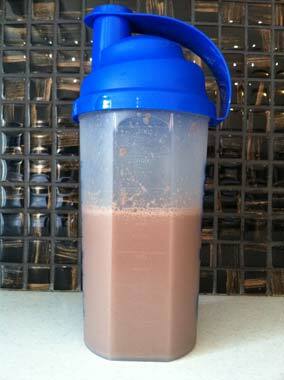 When I review whey protein powders there are 4 main things that I look at when rating how well it mixes. A rogue lump found in MET-Rx Supreme Whey. 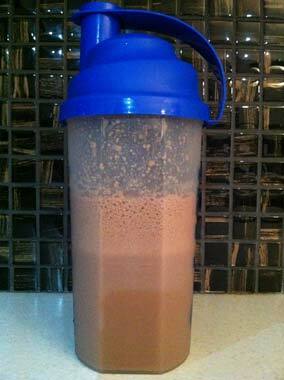 Some protein powders have a tendency to form lumps. These slimy yet powdery blobs disrupt a good shake and make the whole drinking experience less pleasant. Running into a chewable lump isn't the most sickening thing in the world, but it's somewhere between finding a bone in your cod and bumping in to a gherkin in your Big Mac. 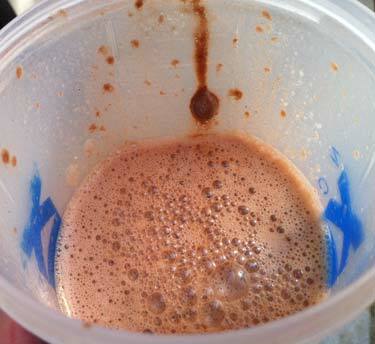 Fortunately, some whey protein supplements rarely (if ever) form lumps, even with the weakest of shakes of your shaker. These powders score highly. Waiting for the froth/foam to settle with Reflex Instant Whey is a bit annoying. This is how it looks about 1 minute later. Every protein powder is going to froth to some extent whilst you're mixing it in your shaker, and compared to lumps the froth is relatively harmless. However, too much frothing or foaming forces you to wait for your shake to settle before drinking it, else you'll risk leaving a few grams of protein behind in the foam if you drink too quickly. It's no big deal, but it's a nice touch to have an efficient, minimal-frothing protein shake for when you're in a rush. ON Gold Standard Whey is the perfect example of a "sandy" powder. See how much finer the particles are compared to Sci Mx's Ultragen Whey Protein? The best kind of powders are the ones that are like sand. Why? Because it's easy to haul the sandy powder around with minimal spillage. The sandy stuff is way easier to manage and it's so much more efficient. Again, this is one of those "marginally interesting" things to rate, but when you experience a sandy powder for the first time you'll definitely notice and appreciate it. Unfortunately, most supplements have the standard powdery powder (like the one in the picture above on the left), which likes to clump together and grip to your scoop. It's not like it jumps out of the scoop and on to your Mum's brand new carpet, but it is more prone to spillage. I don't judge whey supplements too much on this though as this kind of powder is the norm. Bitty, as in lots of small grainy bits floating around. A good consistency on the other hand is light and smooth. A lot like drinking Guinness. With the majority of protein supplements you can control the consistency by adding more or less water or milk, but some supplements never fail to just turn out weird. Those ones don't rate very well. It's one of those "non-essential but nice" things – just like having a pair of socks with designated holes for your toes. So mixability is easily at the bottom of the list, but it still has some significance. For example, after a big workout the less hassle you have to deal with the better. You know what it's like. Basically, I wouldn't buy a whey protein supplement based on mixability alone, but if it was touch and go between one powder and another the mixability would seal the deal. How well should whey protein powder mix normally? You shouldn't expect to have any problems. Whey protein shakes are lighter than most protein shakes, and you should only expect to run in to the occasional lump if you forget to mix hard enough or don't add enough water/milk. 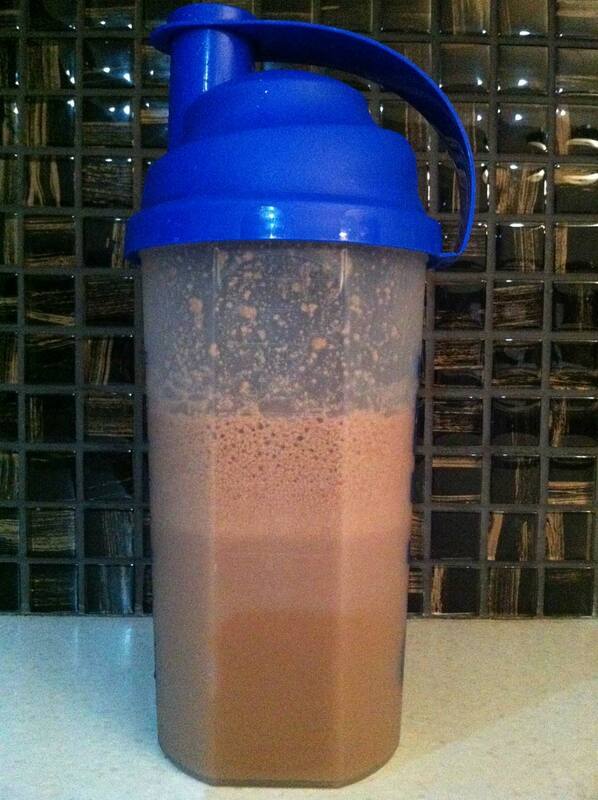 About 10 shakes in a shaker should be enough for a good mix, and you definitely don't need a blender. Overall, mixing whey protein powder shouldn't be an effort. If you find that you're whey supplement produces lots of lumps, or if it's overly thick then it's definitely not standard. If that's the case either try adding more water or just look for a whey protein that mixes better – there are loads of great ones out there. 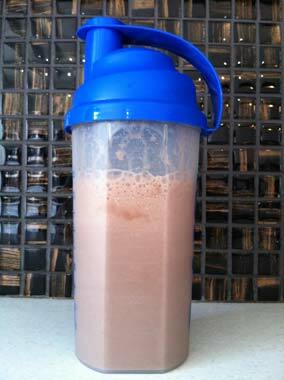 Whey Maxx is an example of a whey powder that mixes awfully. It's bad at everything else too. Besides, if your whey powder isn't mixing well then it's probably lacking in another area as well, like in the protein quality or taste departments. I'm yet to find a whey supplement that is awful at mixing but excellent at everything else. So if you're having trouble with mixing then you should definitely look elsewhere.